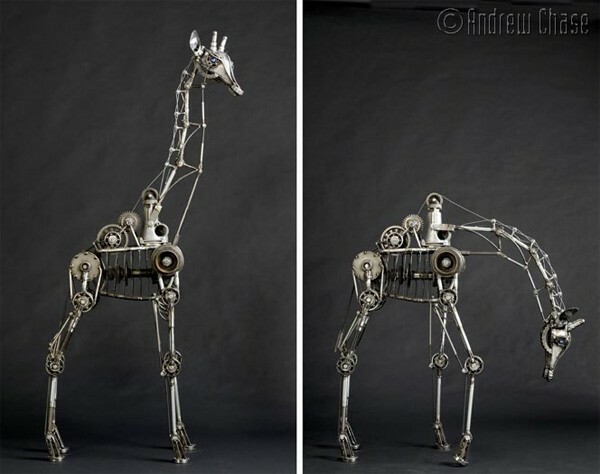 Actually, it's just a sculpture with articulated joints, but by all the gods of steampunk, it looks glorious. 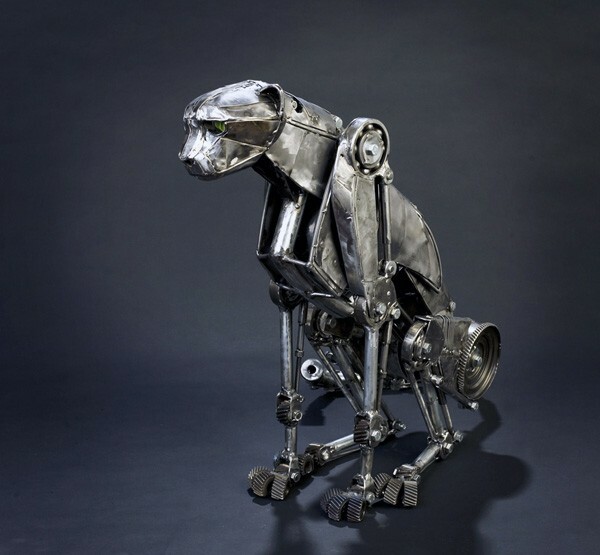 The product of 60 hours' labor and a selection of used transmission parts, disemboweled household appliances, and 20-gauge steel, the mechanical cheetah stands 24 inches tall and 50 inches long. It looks like a stripped down robocat skeleton, and its joints can be maneuvered to mimic the movements of the real feline or to strike some downright awesome poses. Hit the source link for video of the mech cheetah simulating a run, as well as creator Andrew Chase's thoughts on the project, or click past the break for more images -- including a bonus snapshot of a mech giraffe.